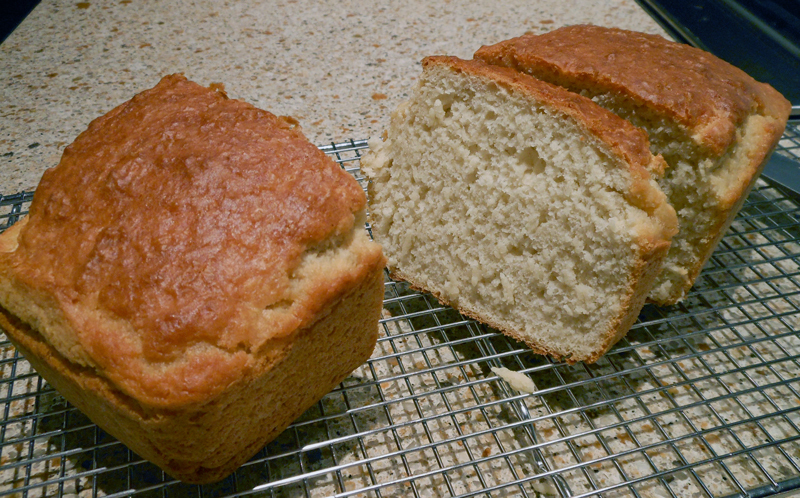 This bread is moist and dense with a chewy crust. 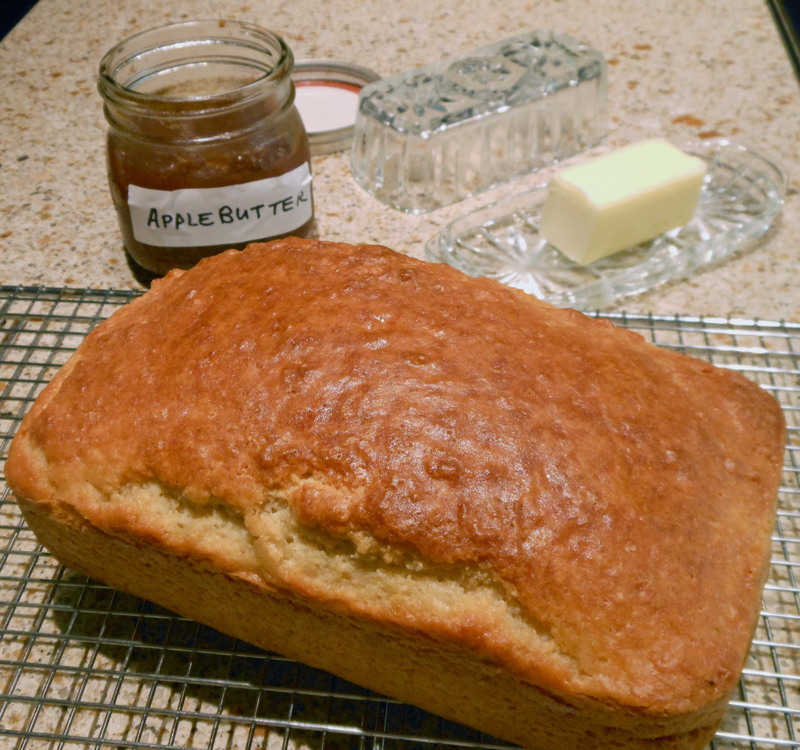 Try it with cold butter and homemade apple butter (see recipe in slow cooker category). Yum! Spray a loaf pan with cooking spray. In a large bowl, combine flour, sugar and mix. Then add the beer and mix well. The mixture should be sticky. Pour into the loaf pan and tap on counter several times to remove any air bubbles. Bake for 55 minutes. Remove from oven and brush top with melted butter. Note: If you don’t have self-rising flour you can make your own. For every 1 cup of all-purpose flour, add 1 teaspoon baking powder, 1/2 teaspoon salt and 1/4 teaspoon baking soda.